Authorities say guards stopped the car as it approached a checkpoint outside the consulate, and that after two of the men jumped out of the vehicle, gunfire erupted. Authorities say the third attacker stayed inside the car and detonated the bomb. All three assailants were killed in the attack that left the mosque, private homes and shops in the area badly damaged. 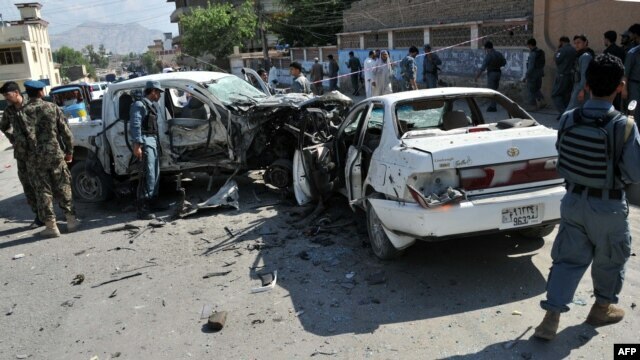 The Taliban has denied responsibility for the blast. India strongly condemned the assault. 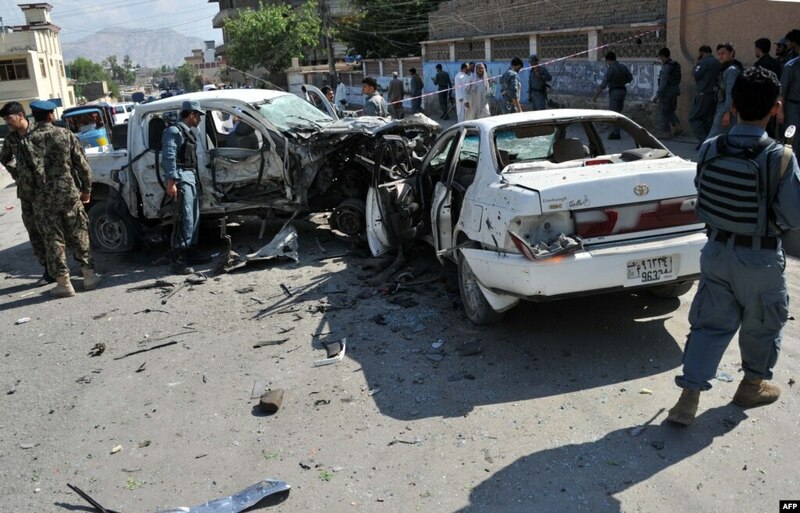 Without assigning blame, it said in a written statement, "This attack has once again highlighted the main threat to Afghanistan's security and stability stems from terrorism." India's Ministry of External Affairs said all Indian officials in the consulate were safe. A U.S. State Department statement condemned the attack, and said despite the deadly incident, Washington remains committed to working with its "Afghan, Indian, and other international partners" to build a secure and prosperous Afghanistan.